Whether you're looking for an established reputable CL caravan site with water and electric hook up, or the home comforts of traditional bed and breakfast lodgings we hope you find all information you need to be assured that Broadgate is a great option for your Lancashire break. Broadgate Farm has been run by the Clark family for 4 generations since 1923. 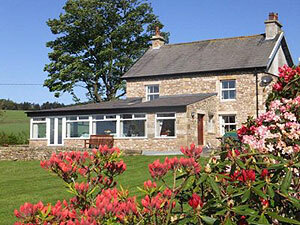 We are a working farm which originally formed part of the Bleasdale Estate in the heart of the Forest of Bowland. Altogether we farm a total of 300 acres of managed inland, which aside from it's natural beauty is also home to much wildlife, including large populations of wading birds, including Lapwings, Curlews, Redshanks and Snipe. Broadgate farm is ideal for walking and cycling holidays and the perfect location for touring the local area. For the past 4 years we have been accredited by Visit Britain and received 4 Star Farmhouse accommodation along with a ‘Silver ‘ Award. We have a lot to offer and look forward to sharing the natural beauty we take for granted with our guest. Our environment is of the utmost importance to us and we are proud to have achieved a Gold Award from the Green Tourism Business Scheme. For more details of our commitment to Green Tourism click here. Twin and double rooms £70 per night. Small dogs are welcome at £10 per night each, max 2 dogs. 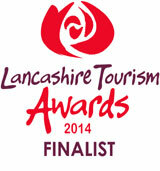 THE LANCASHIRE TOURISM AWARDS 2012 awarded Highly Commended in the Bed & Breakfast/Guest Accommodation of the Year award. 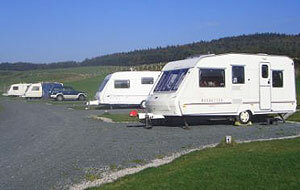 We have local Tramper Trails and Trampers can be hired for use at Broadgate Farm. The Tramper is a specially designed four wheel drive all-terrain electric buggy which can be used off road and even on rough ground, mud and grass. Trampers can be hired by the day or week.